St Peter's C of E Primary School | Great Fire of Budleigh! 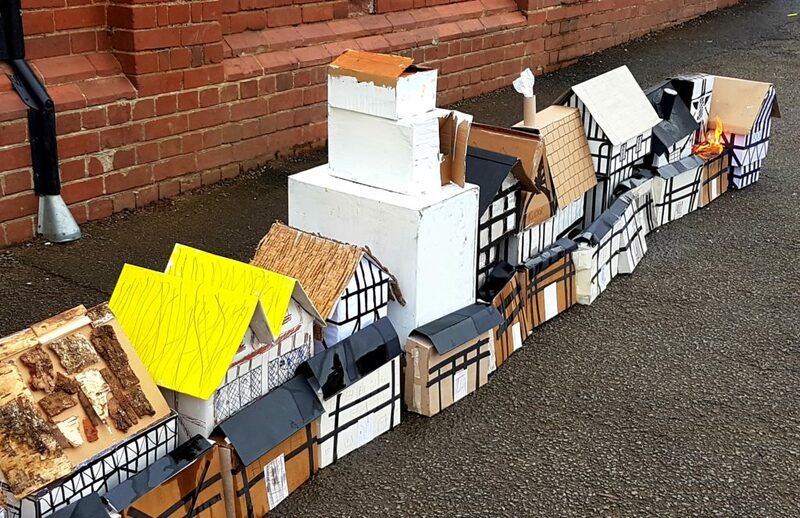 Today we saw the re-enactment of the Great Fire of London – but on the wonderful home-made tudor houses from KS1. The children could see how a flammable material burnt so easily, and why the fire of London spread so quickly. Thanks to all the parents for your handiwork. Even if it was short-lived – it was a great lesson!